The 8D method, also known as the 8 Dimensions or 8 Disciplines, describes a process of steps to be taken in order to solve a problem methodically. The benefit of the method is the complete and thorough approach which enables us to solve current issues, in fact to improve a situation immensely. Depending on the nature of the problem, a team or an individual can work through these steps in order to discover the possibilities in improving any situation. It also ensures that all steps are completed. 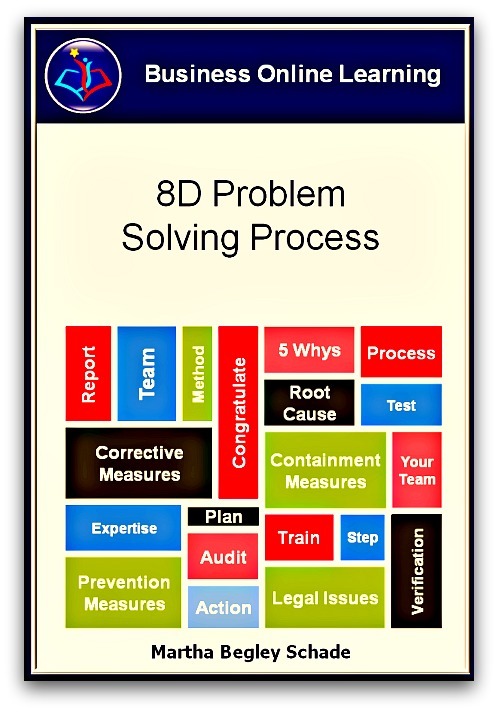 The 8D report is a basic part of the 8D problem solving methodology and at the end of each step, must be brought up to date. Any documents completed as a result of actions done then become part of the report. Therefore the report mirrors the current status of the problem solving work and is therefore to be seen as a “living document”! The completed documentation can be archived as it is a valuable source of knowledge for the future. With many lessons to be learned from them, they can help solve other problems that may occur later on. The aim of the 8D problem solving process is to increase the likelihood of effectively solving problems in the production and R&D functions. 1. Choose the right team: Ensure that those people with the best knowledge of the processes or topic in question are involved. 2. Accurate description of the problem: They say that the better you describe a problem, the closer you are to the solution. 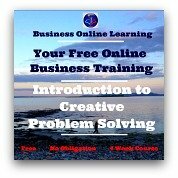 Use questions such as: What is the problem? / What is it not? Where is the problem? / Where is it not? How widespread is the problem? / How far does it not go to (any limits recognizable)? 3. Avoid skipping through steps: Often, due to time constraints, there is an urge to skip through steps. This must always be avoided. 4. Ensure co-operation within the team: remembering the stages of teamwork of Forming, Norming, Storming and Performing and the typical effects each stage has, ensure that all members of the team cooperate fully. Remember too, that people often don’t know how much they know until they actually start exchanging with others. 5. Maintain Momentum: often there is the danger that the team converge to such a degree that they fail to set priorities or fail to have a systematic approach in carrying out the analysis. 6. Ensure Management Support: Enlist Managerial support by frequent informing of developments within the process. Be prepared for the pressure from Management (they are under pressure from the customer) as this pressure exerted can often lead to a rushed job and a failed problem solving process. Have a named Champion in management, someone who will champion your needs through especially when more resources are needed. 7. Understand the difference between possible causes and the real cause. Again, due to time pressures, there is the natural tendency to jump to conclusions that are not founded on scientific fact. In a rush, it can often happen that a possible cause is presumed to be the main cause and the danger lies therein that it may not be. Make sure that you run confirmation tests to avoid this happening. 8. Implement permanent corrective measures: As momentum can wane, especially as time progresses and the pressure has lessened, the most important step can often be overlooked. Make sure that the corrective measures are implemented, - and implemented thoroughly! 9. Document Results: Formulate the successes and document them. Consider completing a “Lessons Learned” document for the benefit of others to gain from at a later stage. 10. Congratulate your Team: It is important to give credit where credit is due. This motivates! So, with a job well done, don’t forget to congratulate your team! Click ﻿HERE to download a Free Template for your 8D report. This is the book we have written on the 8D Problem Solving Process. Click on the image to find out more about it!